Jacqueline here! With my background in education, I have always been one to get excited about school and office supplies. Not to mention I’m a pretty organized person- so, when I can find an excuse to make life easier by organizing it… count me in! Not long ago we added an office space to our living room. I’ve slowly been adding office decor and accessories to complete the look and make it more functional. Since I know I’m not the only one who has a home office, I thought I’d share a few of my favorite pieces I’ve purchased that I’m hoping will keep me organized well into the holiday season. Like I mentioned above…most of these items I’ve used before, some are currently in my office, and there are a few I’m still hoping to add. As for bins, boxes, and trays- I love using them to store away odds & ends, organize papers or display smaller decor pieces. #1 would be great for built ins! I use a box similar to #7 to store my collection of matchbooks. #16 is great for hiding all the mail and papers that somehow collect around the house (anyone else have this problem?). Speaking of mail, I’ve been thinking about adding #14 to help with that same issue- organizing mail. Sarah did a great DIY inspired by this piece if you’re interested in trying versus buying. I think I have the perfect spot for it in our entryway! If you have the space for drawer organizers, I highly suggest these inserts from Target. I used them to organize paper clips, rubber bands, push pins…whatever you need! I like to keep one (or two) of these extra long charging cords around the house (you can never have too many chargers). This adorable paperweight is great for practical uses or styling! Last but not least, I discovered this candle during our recent trip to Utah to visit Sarah and I can’t wait to add it to my collection! She ended up with the “lanai” scent, but I preferred “petal”. Right now our living room and office is a holding space for all things powder room. Once we finish that renovation and move all the items out of the space, I should have a full living room & office tour to share with you. Also, stayed tuned for Sarah’s office reveal coming soon… I know she’s also sharing her organization tips for the office built-ins! 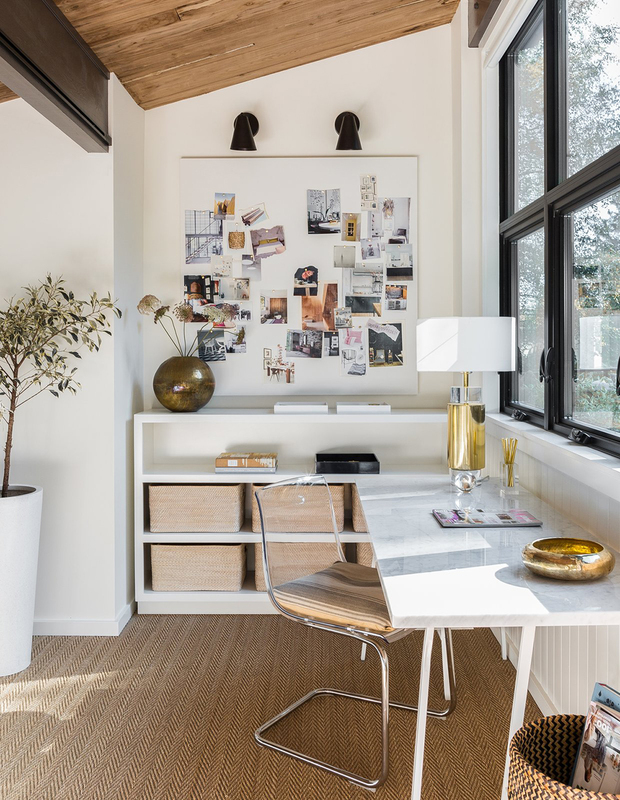 Do any of you work from home or have a home office that needs styling or organized? I’m always on the hunt for new pieces so please share your favorites in the comments below! I love that stapler! And those pretty document boxes! I have the black pencil cup (#11), and use it in my kitchen for holding measuring spoons. Can’t wait for the office tours to be posted.